HISD students from the Marshall Middle School Dance Team performed at the Hattie Mae White Educational Support Center. 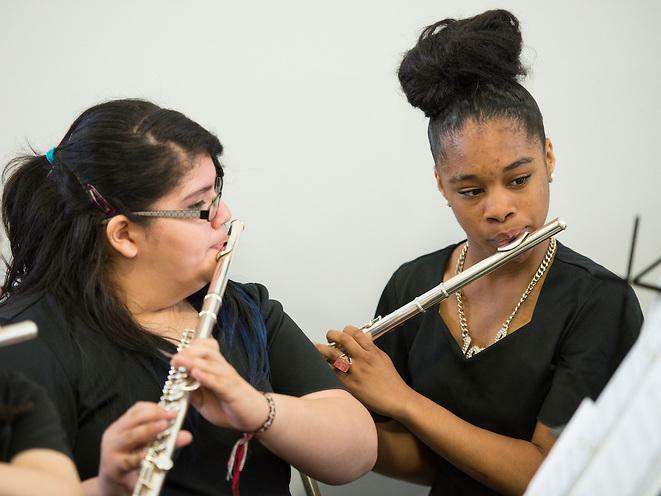 HISD students from the Marshall Middle School Band and Choir perform at the Hattie Mae White Educational Support Center. HISD students from the Marshall Middle School band and choir perform "America the beautiful" at the Hattie Mae White Educational Support Center.